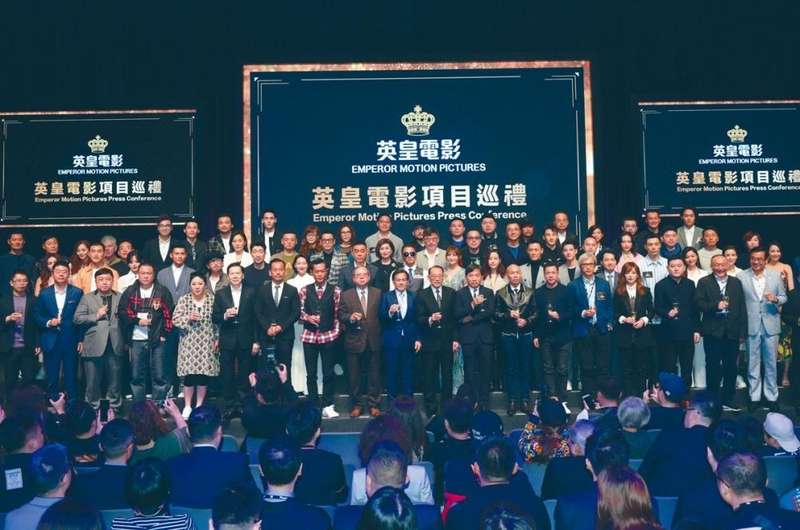 Emperor Motion Pictures yesterday held its 2019 film showcase at the Hong Kong International Film and Television Market at the Hong Kong Convention center. 9 upcoming releases and productions were introduced. Last year the Dante Lam Chiu Yin directed OPERATION RED SEA was a critical and commercial hit, made 4.524 billion at the box office and won the 2018 Highest Grossing Asian Film at the Asian Film Awards. Emperor boss Albert Yeung Sau Sing personally presented the award to Lam Chiu Yin. Director Lam thanked the boss bu also jokingly asked the boss to remember to give bonuses. Mr. Yeung revealed that his bonus could buy several homes and at the same time previewed that Director Lam would follow up with a 800 million yuan sea rescue film production THE RESCUE (GUNG GUP GAU WOON), which would be one of the major blockbusters for Emperor in 2019! Other films included the Benny Chan Muk Sing directed, Nicholas Tse Ting Fung starred RAGING FIRE (NO FOR); the Wai Ka Fai directed, Sean Lau Ching Wan, Charlene Choi Cheuk Yin and Raymond Lam Fung starred DETECTIVE VS. SLEUTH (SUN TAM DAI JIN); the Steve Yuen Kim Fai directed, Karena Lam Ka Yun starred DECLARED LEGALLY DEAD (SEI YUN MO HOR YI); the Lee Cheuk Pan directed, Irene Wan Bik Ha starred THE FALLEN (DOR LOK FA); the Lau Ho Leung directed, Daniel Wu (Ng Yin Cho) and Wang Qianyuan starred CAUGHT IN TIME (HAN KEI POR ONG); the Erica Li Man directed, Wong Cho Lam starred GIVE ME A DAY (CUP NGOR YUT TIN); the Li Fei directed, Vicki Zhao Wei starred TWO TIGERS (LEUNG JET LO FU); the Choi Cheuk Yin and Pakho Chau starred 77 HEARTWARMINGS (GUM DUNG TA 77 CHI). The event debuted the teaser for THE RESCUE. Director Lam Chiu Yin made an appearance with actors Carlos Chan Ka Lok, Xin Zhilei, Ian Wang. Speaking of making THE RESCUE for more than OPERATION RED SEA (HUNG HOI HUNG DUNG)'s 400 billion production budget, Lam Chiu Yin stated, "This time the challenge would be even greater. Each time would have different elements. I of course want to spend more money. (More than double?) I don't know, just give me more to spend." Albert Yeung Sau Sing presented the 2018 Highest Grossing Asian Film Award to Director Lam. Mr. Yeung joked, "The 3.65 billion RMB box office was very rare, the credit belonged to the great director." Director Lam said, "Thank you Boss for the support, bonus, please remember to give bonuses." Mr. Yeung said, "Last time I got a lot already, and you bought many homes. This time you are rich." Director Lam revealed that THE RESCUE has already completed its Mainland shoot. Today he will head to Mexico for a month. Would the 800 million production budget give him stress? He said, "No, as I count it may be that much. It's very stressful. (How would you celebrate the award?) I am the most interested in the bonus, would some of the 800 million go to me? (Mr. Yeung said that you bought several homes?) Mr. Yeung is constantly giving me hope. He always says that I might get it if I think about it, but I have been thinking for a very long time." RUYI'S ROYAL LOVE IN THE PALACE's Consort Jia, Xin Zhilei said that the director made no gender difference. Direction Lam said, "She has to pilot a plane, dive. It has to be very tough, otherwise I can't hold on to my 'Demon Director' reputation!" Last year Emperor Motion Pictures' total box office was 6 billion RMB, second highest in the Manland industry. This year it will continue to produce strong films. 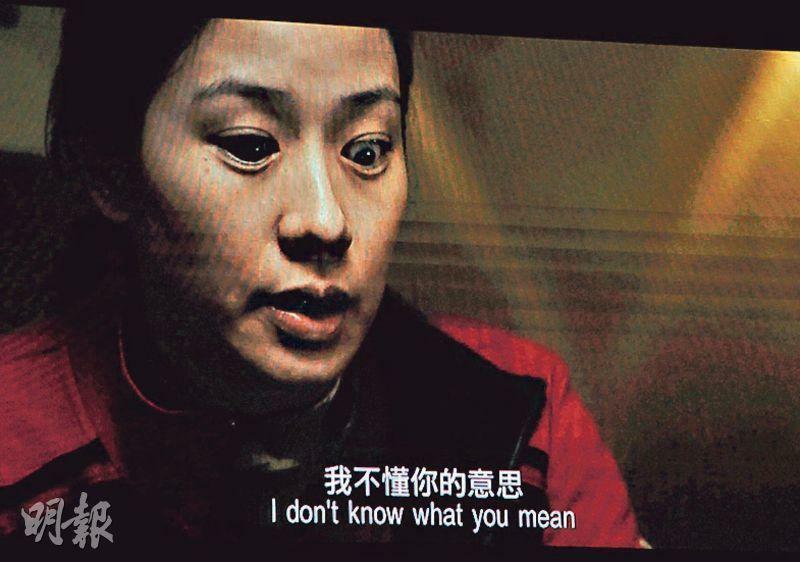 At the event a video of Dayo Wong Tze Wah was shown as he previewed his new film. Tze Wah revealed, "After FIGHTING TO SURVIVE (YUT MUN GAI BO BIU) 20 years ago, this will be the second time I write, direct and star. Over a decade agao I already wanted to make this film, but I couldn't find the lead actress. This time I found the tough, pretty and with good skin Lau Sum Yau (Annie Liu)." The video kept shooting a punching bag, hinting that the story would be related to it. Lam Ka Yun revealed that for her DECLARED LEGALLY DEAD (SEI YUN MO HOR YI)'s character she kept her hair gray for two months and could not have any skin care treatment in order for her to perform more convincingly. Zhao Wei in TWO TIGERS would produce and star. She said, "The director wrote this film for two years. The character would be quite a character." After 3 years away from film, Zhao Wei as the producer and the actor would work with director Li Fei on the new film TWO TIGERS. 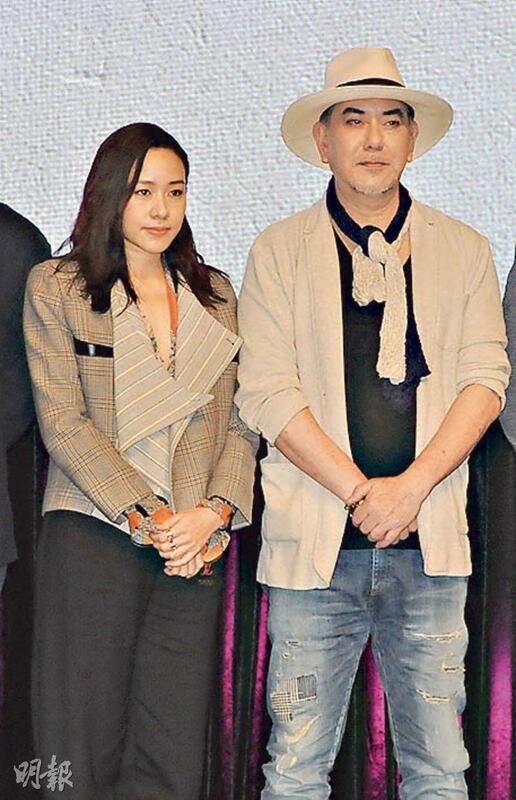 Zhao Wei said, "The director wrote this film for two years. We will shoot a lot in the Mainland. This film belongs to a very unique style of its own. The character I play will be quite a character." Lau Ching Wan and Wai Ka Fai 10 years ago reunited for DETECTIVE VS. SLEUTHS (SUN TAM DAI JIN). Ching Wan said, "The biggest challenge was not making this film but taking this role. After I agreed I started to regret it. I am very certain about what I would run into with a Wai Ka Fai film, and realize that I am very suitable to make his movies. Everything I expect will happen in the film. It's very hard to explain to everyone clearly!" 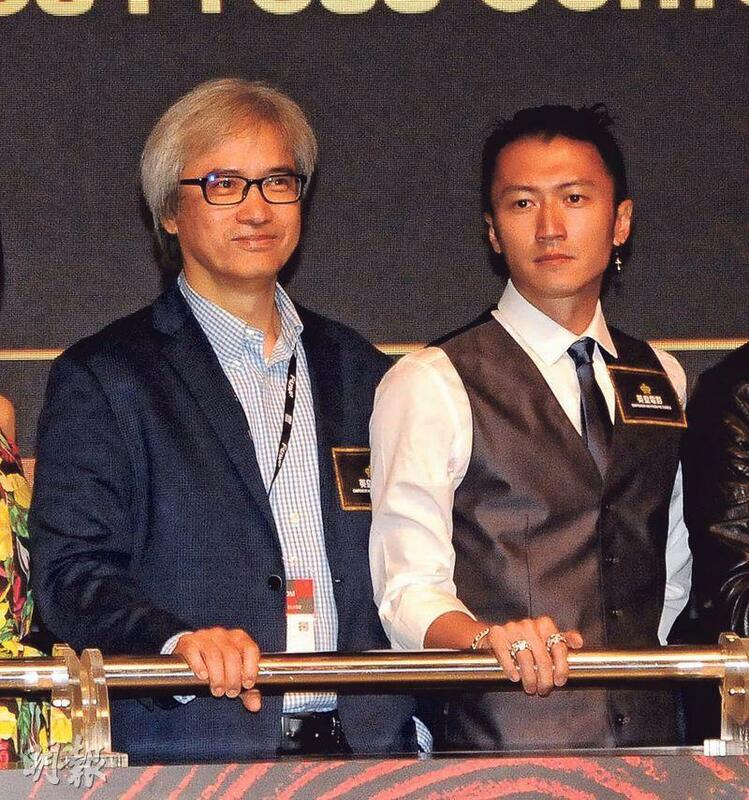 Nicholas Tse Ting Fung and Donnie Yen Chi Tan will work on the Benny Chan Muk Sing directed action film RAGING FIRE (NO FOR), which will officially start production next month and will take three and a half months to shoot. Ting Fung who has not made a movie in awhile felt that each time has been a new attempt and challenge. He felt that Hong Kong film has not had hand to hand combat in a very long time. He joked that his body has been itching for a long time and he looked forward to a beating! Ting Fung said that injury will be inevitable, which was the spirit of action film. As for dangerous stunts, he left them for Lord Tan to design. He revealed that they have not worked together for 14 years. "The last time was DRAGON TIGER GATE (LUNG FU MOON). I really look forward to fighting together. (Would you ask Lord Tan to hold back?) I am in training, I hope to be able to run a little faster." As for big scenes, Chan Muk Sing said, "It's very hard to shoot gun fights and explosion scenes on the streets of Hong Kong because the cost is expensive and the application process is hard. (Would you ask boss Albert Yeung Sau Sing) to increase the production budget?) The boss definitely would support the film! (How much will the budget be?) I can't say yet." Speaking of the Dante Lam Chiu Yin directed THE RESCUE (GUNG GUP GAU WOON)'s 800 million yuan investment, Ting Fung said, "Our genres are different. We aren't at war, we are in a fight!" Recently linked to Mini Yang Mi, was Ting Fung's relationship with Faye Wong stable? He smiled and said, "I am not answering anything about love, we aren't really at war, haha."